For those of you who have ever had dogs, you will know exactly how excited your canine companion gets when you return home at the end of the day. There’s nobody in the world who will love you as much as man’s best friend. 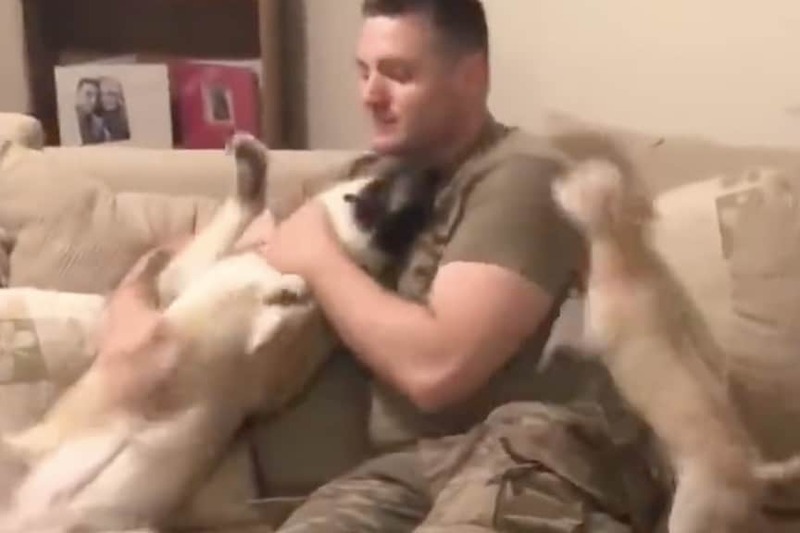 So you can imagine the delight as this soldier surprises his dog when he returns home. Freyja the German Shepherd most certainly has this extra special bond with her human. But unfortunately, she doesn’t get to see him very often. You see, one of her humans is a soldier so Freyja can go months without seeing him. 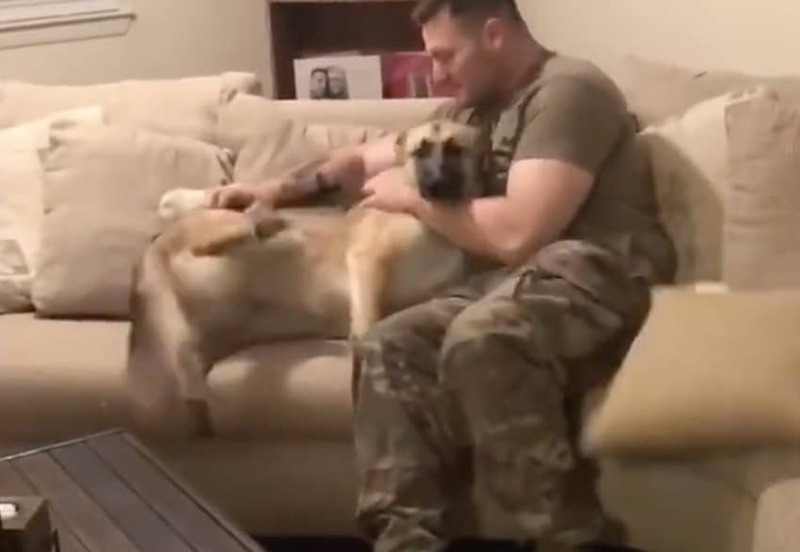 She loves getting cuddles with her soldier daddy so as you can imagine, it’s hard when he’s not around to accommodate her wishes. However, Freyja was in for a very special treat. Understandably, Freyja had no idea when her human would return home. 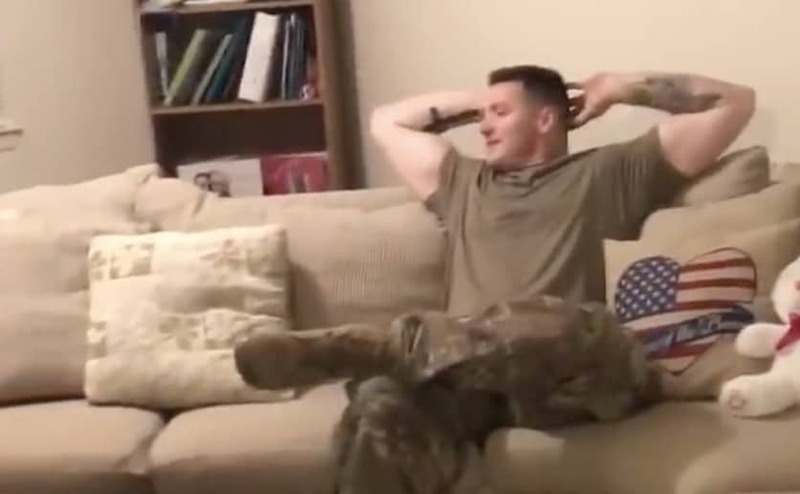 But in this video, we watch as this soldier surprises his dog in the cutest way possible. Freyja the German Shepherd had no idea that her human would be coming home that day. But as she wandered into the living room, she spotted him, still in his military clothing, with his arms wide open. Freyja ran straight towards him and lept straight into his arms. You could see her tail wagging ferociously. We’ve never seen a dog so happy to see somebody. She was leaping all over the place and screaming with delight. She had been reunited with her human once again! Freyja’s reaction is utterly adorable! I wish I came home to this sort of reception… The dog whimpering and kissing her human truly melted our hearts. And dad was thrilled to know he was dearly missed.